Religion and spirituality can be as trendy as the latest handbag or dress in Hollywood. Belonging to a specific church or temple is often like being part of an exclusive country, club without the golf. While many people claim to be religious or try to proselytize their beliefs on others, true spirituality comes from within. Here is a list of the ten most spiritual celebrities. While some of these celebrities are known for being a member of a specific religion, some simply consider themselves spiritual and do not align themselves with or believe in any particular sect. All of these celebrities are known for living their lives according to their own spiritual guidelines, from how they raise their children, to how they spend their money, and how they choose to dress. Most importantly, all of these celebrities try (and sometimes succeed) in inspiring the public to embrace their own spirituality. While Russell Brand is one of the most spiritual celebrities, he doesn't subscribe to a particular religion. He says he believes in an “infinite creative force." Brand, who is in recovery from drug and alcohol addiction, doesn't shy away from discussing his involvement in 12 Step-Groups, Alcoholics Anonymous and Narcotics Anonymous, which believes in “a Power greater than ourselves.” He also practices Kundalini Yoga, which is one of the most spiritual yoga practices, at Golden Bridge in Los Angeles. He even brought his yoga teacher, Tej Kaur Khalsa to the MTV Movie Awards in 2012. Despite the fact that her name means “Water” in Hebrew, not everyone knows that Mayim Bialik, who stars as Amy Farrah Fowler on The Big Bang Theory, is a Jew. Mayim was raised in the Reform sect and had a Bat Mitzvah, which is the Jewish coming of age ceremony. She is now, as she says, “aspiring modern Orthodox.” Modern Orthodox women adhere to a modest dress code, which Bialik even abides by on the red carpet, which means she wears long sleeves and doesn’t show cleavage. Being Modern Orthodox also means Mayim keeps a kosher diet. If that isn't enough, Mayim co-founded the Jewish parenting blog, Kveller. One of the most truly spiritual celebs is actor Rainn Wilson, who is best known as Dwight Schrute on The Office. He was raised as a member of the Baha'i Faith. Founded in Persia during the nineteenth century, The Baha'i Faith is based on three core tenets, which are Unity of God, Unity of Religion and Unity of Humanity. In 2009, Wilson founded Soulpancake, a website and media company whose mission is to "Chew on Life's Big Questions”. Through various forms of media, conversations, as well as a book, Soulpancake has empowered people of various faiths and religions to connect on new spiritual levels. The recently “consciously uncoupled” Gwyneth Paltrow doesn't believe in religion, but she does believe in spirituality. Coming from a long line of Eastern European Jewish Rabbis, she does plan on raising her children, Apple and Moses (which is a biblical name), Jewish. Gwyneth’s father, producer Bruce Paltrow was Jewish and she was raised Jewish by her parents. However, Gwyneth's mother actress Blythe Danner and her ex-husband, Chris Martin are actually Christian. Like her friend Madonna, Gwyneth practices Kabbalah. Religious differences were reportedly one of the causes of the breakup between her and Martin. Raised Methodist, actor Richard Gere converted to Buddhism in his 20’s. He first studied Zen Buddhism with Kyozan Joshu Sasaki. After studying the religion for about six years, Gere traveled to Nepal and eventually to India, where he met the fourteenth Dalai Lama. He began to practice Tibetan Buddhism and has since become an activist for the Free Tibet movement. His non-profit organization, The Gere Foundation supports The Tibet House, which he co-founded with composer Philip Glass and Professor Robert Thurman (who is actress Uma Thurman’s father). The mission of The Tibet House is to preserve the country’s spiritual and cultural heritage. Oprah Winfrey was born “Orpah” for the character in The Book of Ruth, but everyone mispronounced her name and Oprah she became. Oprah is one of the most spiritual and successful influences in the media. 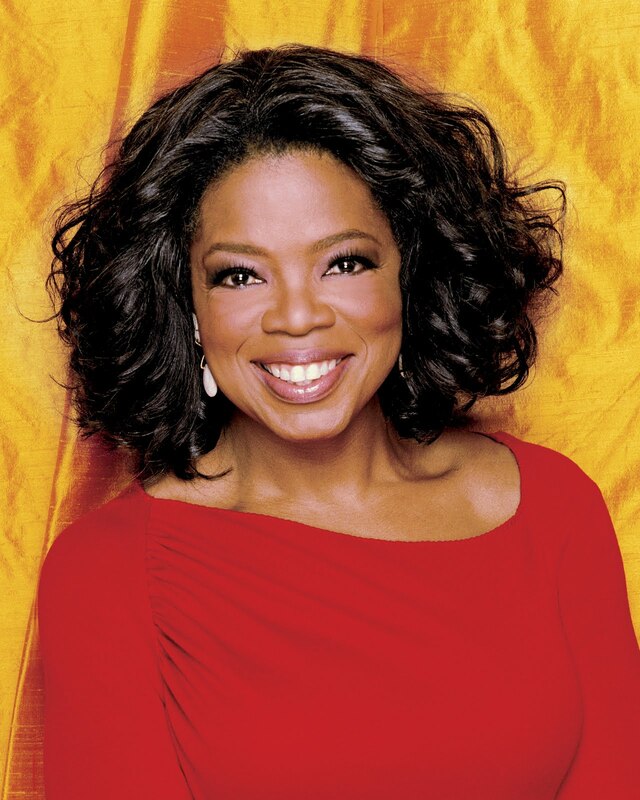 Through her television career, Oprah has interviewed spiritual leaders from various religions, including the Dalai Lama, Reverend Ed Bacon, and Thich Nhat Hanh, as well as new age “gurus” including Rhonda Byrne, who wrote the bestselling book, The Secret. She also helped make Eckhart Tolle’s books, A New Earth, and The Power of Now, into bestsellers. Although she is known for raising spiritual, as opposed to religious, awareness Oprah has said publicly that she is Christian.